A dynamic, glitzy drama set in the world of super-rich investors, Wall Street is both a celebration and condemnation of capitalism's worst excesses. Oliver Stone creates a dazzling story of wealth gone mad, a playground for egotistical men where profits rule, the stakes are routinely measured in millions, and the careers of ordinary mortals are cheaply bought and discarded. 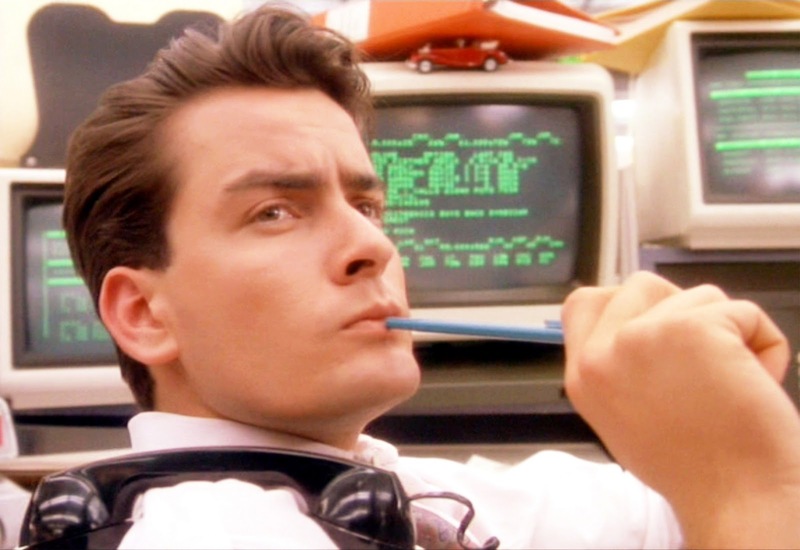 Bud Fox (Charlie Sheen) is a young but ambitious stockbroker at a middling Manhattan investment firm, still making cold calls to try and build up a client base. His father Carl (Martin Sheen) is a humble and honest aircraft maintenance crew chief at Bluestar, a fledgling airline. Bud's persistence finally pays off when he lands the extremely wealthy and ruthless corporate investor Gordon Gekko (Michael Douglas) as a client. Gekko likes what he sees in Bud, and takes him under his wing, exposing him to the power of inside information, the art of taking over corporations and breaking them up for great gains, and a world where obscene amounts of short-term profits can be derived from high-stakes stock price manipulation. Bud's education includes meeting Sir Larry Wildman (Terence Stamp), an even wealthier investors and one of Gekko's chief rivals in the global corporate take-over game. 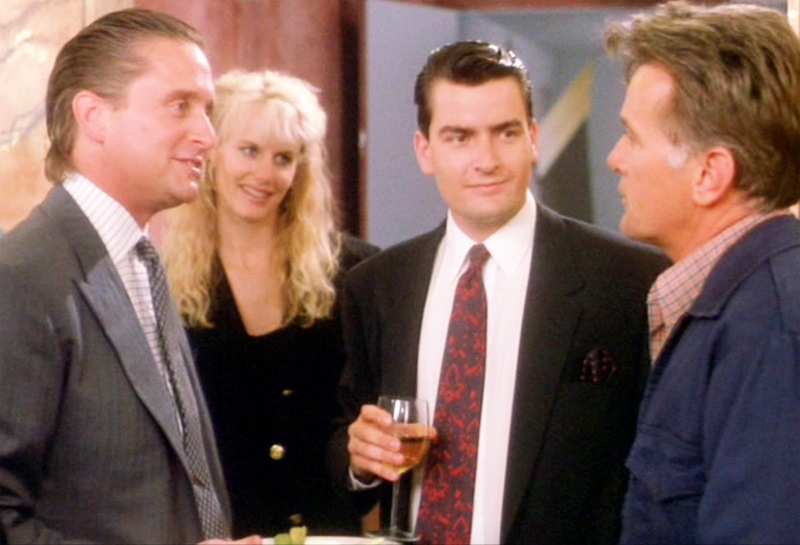 Buoyed by success and fueled by Gekko's money, Bud starts tapping his college friends, including lawyer Roger Barnes (James Spader), to seek insider tips on upcoming mergers, and to set up bogus trading accounts to hide his activities from the Securities and Exchange Commission. Now very rich, Bud's life is fully transformed. 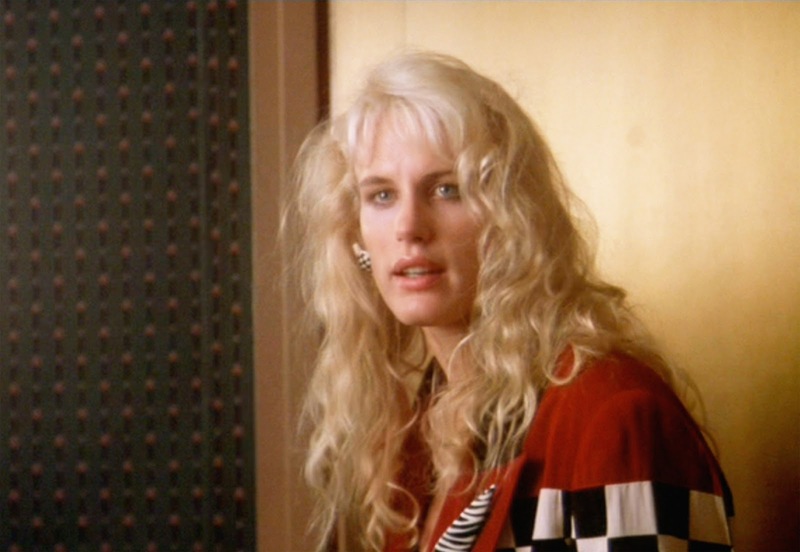 He buys a swanky apartment and starts a serious relationship with glamorous interior designer Darien Taylor (Daryl Hannah). But when one of Gekko's upcoming deals threatens to hit close to home, Bud has to finally decide who he really is. Gekko: What's worth doing is worth doing for money. Fresh from the success of 1986's Platoon, director Oliver Stone moves from the jungles of Vietnam to the equally treacherous and shadowy terrain occupied by the manipulators of the global finance system. Wall Street is high-paced, magnetic and seductively glossy. Tracing the arc of protagonist Bud Fox, Stone steps behind the curtain and into the offices of the power brokers who actually determine the winners and losers on Wall Street. It is a place both difficult to resist and absolutely corrupt, free of quaint principles related to morality and humanity, and driven solely by greed and profit. Stone succeeds in making the world of Gordon Gekko fabulously attractive. For ambitious young men like Bud Fox, it's not difficult to be sucked into the promise of a life filled with limousines, lavish restaurants, expensive suits, glamorous women, high-end real estate and millions in the bank. It's a castle in the sky floating on high-stakes gambling with the odds tilted in favour of the Gekko's who profit from widespread malfeasance, and Stone builds up the allure with plenty of pizazz. It's not easy to make financial transaction look exciting, and Stone pulls it off with energetic camera work and in-your-face scenes capturing the frenzy of the trading floors and the adrenaline rush of deal making in real time. Gekko, talking to Bud: Wake up, will ya, pal? If you're not inside, you're outside, okay? And I'm not talking a $400,000 a year working Wall Street stiff flying first class and being comfortable, I'm talking about liquid. Rich enough to have your own jet. Rich enough not to waste time. Fifty, a hundred million dollars, buddy. A player, or nothing. Now, you had what it took to get into my office; the real question is whether you got what it takes to stay. Not all of the film works perfectly. There are a couple of scenes, one between Bud and his father Carl and another between Bud and Gekko, where exaggerated emotions and shouting replace intelligent discourse. And Bud's awakening to the damage that Gekko and his ilk can cause is treated simplistically and rather abruptly. But overall, the script (co-written by Stone and Stanley Weiser) triumphs thanks to a treasure trove of sharp exchanges and observations, mostly courtesy of Gekko, that serve to define a caustic perspective on not just the world of capitalism, but the human condition itself. The character of Gordon Gekko is an enduring symbol of the decade of greed, and Michael Douglas won the Best Actor Academy Award for creating a believable, even sympathetic, merchant of money. Gekko creates wealth, no matter the consequences, and Douglas' cold-eyed portrayal allows the character to make sense in a world where the limits of capitalism are unconstrained. 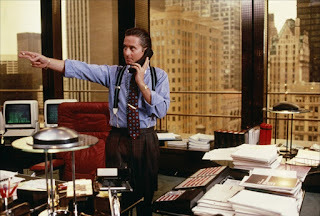 Bud Fox may be the sympathetic core of the film, but Gordon Gekko emerges as its true voice, an unrepentant genius exploiting the system and selling his vision to anyone wishing to share the dividends. Gekko, addressing an audience of corporate shareholders: The point is, ladies and gentlemen, that greed, for lack of a better word, is good. Greed is right, greed works. Greed clarifies, cuts through, and captures the essence of the evolutionary spirit. Greed, in all of its forms: greed for life, for money, for love, knowledge, has marked the upward surge of mankind. Charlie Sheen does enough to carry Bud's journey without ever transcending the role. Daryl Hannah does well as the prestigious lover who comes with the money, unapologetic in her pursuit of the life that millions can buy. In addition to James Spader, the deep supporting cast includes roles for Hal Holbrook as a old-fashioned investor who still looks for long-term company value, Sean Young as Gekko's wife, and John C. McGinley as Bud's animated colleague, left behind when Bud moves into the stratosphere of investing. Gekko: It's a zero sum game – somebody wins, somebody loses. Money itself isn't lost or made, it's simply transferred – from one perception to another. Like magic. This painting here? I bought it ten years ago for sixty thousand dollars. I could sell it today for six hundred. The illusion has become real, and the more real it becomes, the more desperately they want it. Capitalism at its finest. Wall Street invests in quality film making and vigorous, character-driven storytelling, and achieves an exhilarating return on investment.